Pixotope represents a revolution in virtual production systems, radically advancing the performance, the use-ability, and the business model for cross-reality content production. Pixotope is an open software-based solution for rapidly creating virtual studios, augmented reality (AR), and on-air graphics. It utilises powerful commodity hardware and is specifically designed to connect with partner technologies and external data sources. Pixotope utilises Epic Games’ Unreal Engine to produce photorealistic rendering in real-time. The combination of Unreal Engine and Pixotope enables designers to rapidly create virtual sets, virtual environments, and augmented content, with terrain and foliage, with particle systems (rain, smoke, fire, hair, cloth, explosions etc. ), and with simulated camera and lens properties (lens distortion, depth of field, chromatic aberration). Pixotope is built for on-air use enabling rapid design and deployment of virtual, augmented, or mixed reality content. It enables users to configure, create, and control, any kind of virtual production from a single user interface. Whether you choose to create content using Pixotope’s unique auto-set generation tool or build your own content from scratch using its specialised WYSIWYG editing tools, Pixotope harnesses the real-time power of the Unreal Engine to create anything from a single camera project, to a live multi-camera virtual studio production, all at cinematic quality. A highly attractive subscription model ensures that Pixotope can easily be deployed across an organisation and scaled to the specific requirements of each project. Non-destructive internal compositing assuring that video is not affected by graphic system anti-aliasing. Genlock / synchronise with Tri Level and blackburst inputs over SDI, to an SDI video signal or to the internal clock. Support for industry standard content generation workflows using FBX, Alembic, openEXR, etc. Pixotope™ Studio Creator is a fast track generator for broadcast quality virtual studios. Pitched at both artists and non-artists, it makes use of our procedural modelling and layout software, which accepts simple user defined parameters (like size, shape, colour schemes and styles), and turns them into production quality virtual studios. The standard Pixotope™ licence comes with a free 6 month licence of Studio Creator. controls all aspects of the system, which is configured and controlled by a modern distributed graphical user interface. Director is built on top of an extremely low latency data bus, called Pixotope™ DataHub. has an API that makes it easy to integrate multi camera workflows (including MOS workflows), custom control panels, DMX light control and GPI. enables graphics operators to design and automatically generate control panels that can run inside browsers on any device. 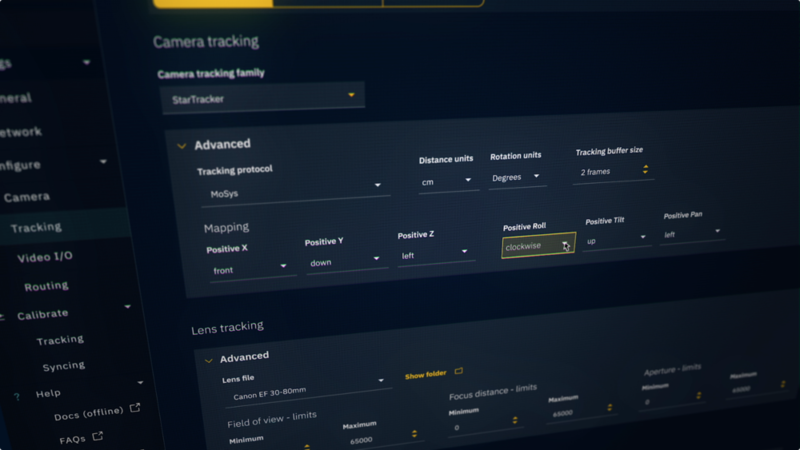 is an intuitive, what-you-see-is-what-you-get workflow for level layout, lighting, vfx, animation and compositing. It imports digital assets from all standard content creation tools like Autodesk Maya and Cinema 4D. is an easy to use Character Generator with simple slider control over flying logos and text. is a best in class real-time chroma keyer. 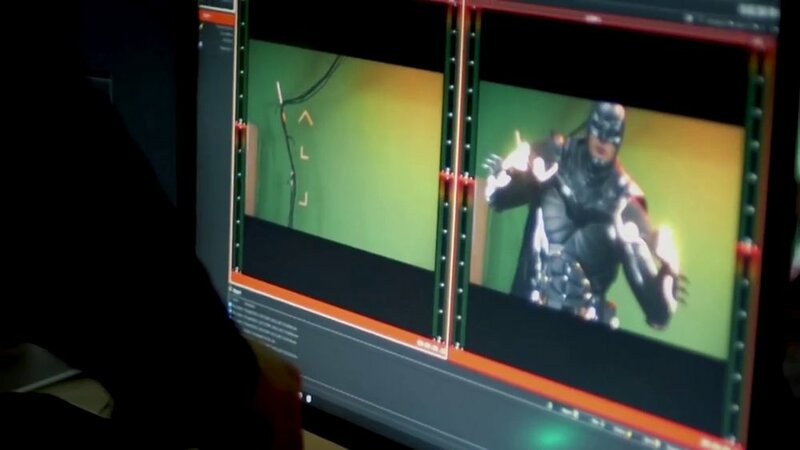 It uses a new keying algorithm, influenced by offline 3D chroma keyers, but with the ease of use and performance of real time chroma keyers. All of its real time features can be controlled through an easy to use remote GUI. comes with built in support for the major real time camera tracking systems.